The Orphan Foundation invites you to build your leadership skills. Build key leadership skills and help to rescue an orphan. The Orphan Foundation is pleased to announce the receipt of a major gift from The Business Source. The Business Source book summaries are designed to provide the best business knowledge available today in a variety of reading and listening formats. The summaries can be read or listened to on a PC or Mac, or on a wide variety of mobile devices such as the iPhone, Blackberry, iPad, and Kindle. The book summary service is available via a yearly subscription. 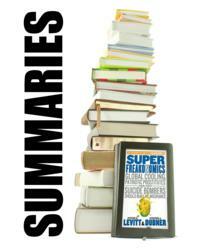 These book summaries are a concise synopsis of newly published business books and they highlight the author’s main ideas and strategies. The summaries produced by The Business Source. They are approximately 3,500 words in length (or about 5-7 pages) and typically take about 15 minutes to read or listen to. The Orphan Foundation is asking individuals, companies, and associations to purchase these leadership and management book summaries for themselves or for their key employees. The hope is that all of the gifted subscriptions will be purchased and that the foundation will be able to raise the needed dollars to help more orphans get into loving homes. For every 50 subscriptions ordered, the foundation will be able to rescue 10 orphans in search of a family. The foundation provides $500 grants to low and middle-income families who are willing to open their homes to a loving child, exhausted their financial resources, and can prove that they are in the final stages of adoption. The foundation is an all-volunteer group, which means that all monies raised go to the non-profit’s rescue mission. The foundation reports that the cost of adopting is approximately $18,500 for a domestic adoption, and $25,000 to $40,000 for an international adoption. “This financial burden has created a huge barrier to solving the orphan crisis as the cost of adoption has skyrocketed out of the reach of most families,” said Dr. Tatiana DiDonato, co-founder of The Orphan Foundation. “Adoption should be free to any loving family that will open their homes to these beautiful children.” She went on to say that the act of adoption is an act of love and commitment. If you would like more information or to help, please visit The Orphan Foundation’s website at http://www.TheOrphanFoundation.org. The Orphan Foundation is a 501(c)(3) nonprofit that was established in December of 2006. The Orphan Foundation provides hope and life lines to orphaned children around the world. The foundation's primary mission is to eliminate barriers to adoption, by providing financial support and information to adopting families, as well as services to institutionalized orphans and foster care children worldwide. The Orphan Foundation's programs include providing financial grants to adopting families in need, service tours to orphanages, medical interventions for children waiting for adoption, and transition support for children leaving institutions or foster homes. A book summary is a concise synopsis of a business book that highlights the author’s main ideas and strategies and gives the reader a specific insight and understanding into its contents. The summaries produced by The Business Source are approximately 3,500 words in length (or about 5-7 pages) and typically take about 15 minutes to read or listen to. Each summary is available in many digital formats so you can read or listen to them on your PC or Mac, or on a wide variety of mobile devices such as iPhone, Blackberry, iPad, and Kindle.